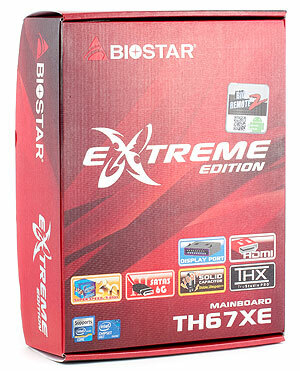 Biostar currently offers as many as five microATX motherboards based on the H67 chipset. And today we shall review the most advanced of those, TH67XE. First, a few words on how to make sure the motherboard is based on the B3 revision of the chipset (yes, it's about the hyped Intel 6th series chipset defect). 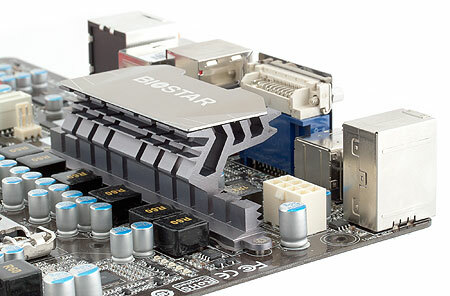 Unlike some other manufacturers, Biostar didn't alter motherboard name, but just incremented its version number. So, TH67XE Ver. 5.0/5.1 is potentially prone to the defect. TH67XE Ver. 5.2 is not, featuring the newer B3 revision. That's the only difference between versions. In fact, this is just a decent motherboard based on the H67 chipset. All the more so that the latter is technically not suitable for extreme products, because the only overclockable part you get in this case is processor's graphics core. Which people aren't that eager to overclock in the first place. As for settings related to processor cores, I only found one which allowed me to lock CPU multiplier at "Max Turbo". Unfortunately, tests indicated no particular gains. In other words, this is not an overclocker motherboard. On a side note, AMI BIOS, or rather EFI, is very nice. It isn't astounding graphically, but it does make your PC boot up fast which is most important. So, despite TH67XE isn't made for overclocking, it formally pretends to be. For example, the CPU VRM has 7 phases: 4 for cores, 2 for the System Agent (cache and memory controller) and one for the GPU. This isn't much compared with 20-24 virtual (10-12 actual) phases of top-end motherboards, but don't forget that lower-end motherboards, especially those based on H67, often have only 4 phases. And work fine. So perhaps 7 phases is a bit too many, but that's not bad, of course. Another formally high-end feature is all capacitors being polymer. These are surely needed in key circuits, but having them everywhere is excessive. But as long as it's also inexpensive no one will object. The same can be said about the additional heatsink on the CPU VRM MOSFETs. They surely warm up during operation, but 90% of motherboards, including Biostar's own TA880G HD, for example, do fine without additional cooling. It seems that this heatsink was added at the last moment, because it effectively obstructs most of the "GbE LAN eSATA DVI HDMI DP SPDIF" inscription, even though it tells of board's most useful features. But let's get back to the last two features which formally point at motherboard's extreme nature: onboard Power and Reset buttons and the 8-pin CPU power connector. Let's compare TH67XE with the aforementioned TA880G HD, especially as these two solutions belong to close classes. So, TA880G HD should be able to provide power to processors with up to 140W TDP (overclocking included), but it has a 4-pin CPU power connector, 5 CPU VRM phases and has no heatsinks on MOSFETs. Now the highest thermal design power TH67XE may have to handle is 95W, but it has 7 CPU VRM phases, heatsinks, and an 8-pin CPU power connector. As you can see, it's extreme only on the outside and is regular on the inside. You know, perhaps such design was developed to have some practice and get ready to the Z68 chipset which should be released very soon. So let's now forget about extreme and look at TH67XE as a regular microATX board based on the H67 chipset. And I must say it does look attractive and up-to-date from this point of view. Take the expansion slot layout, for example. Instead of the popular "x16-x1-x1-PCI" or even "x1-x16-PCI-PCI", the board has "x16-x1-x16-PCI" that is much more reasonable for the year 2011. There's one PCI slot managed by a dedicated bridge, but at least it can be used at any time. The second PCIe x16 slot actually works as x1, because 4 of the 8 chipset PCIe lanes are used by additional controllers. But it supports not only PCIe x1 expansions cards. You can even use two graphics cards. Or you may effectively forget about discrete graphics cards and go with the built-in graphics core that offers enough performance — especially if it's GMA HD 3000 (K series or Core i3-2105 CPUs) — for most things except games. 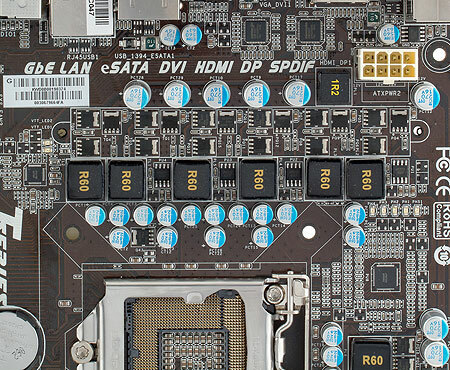 Another thing you notice is the odd number of SATA ports: 1 of the 6 available is used as eSATA on the back panel. A reasonable choice. 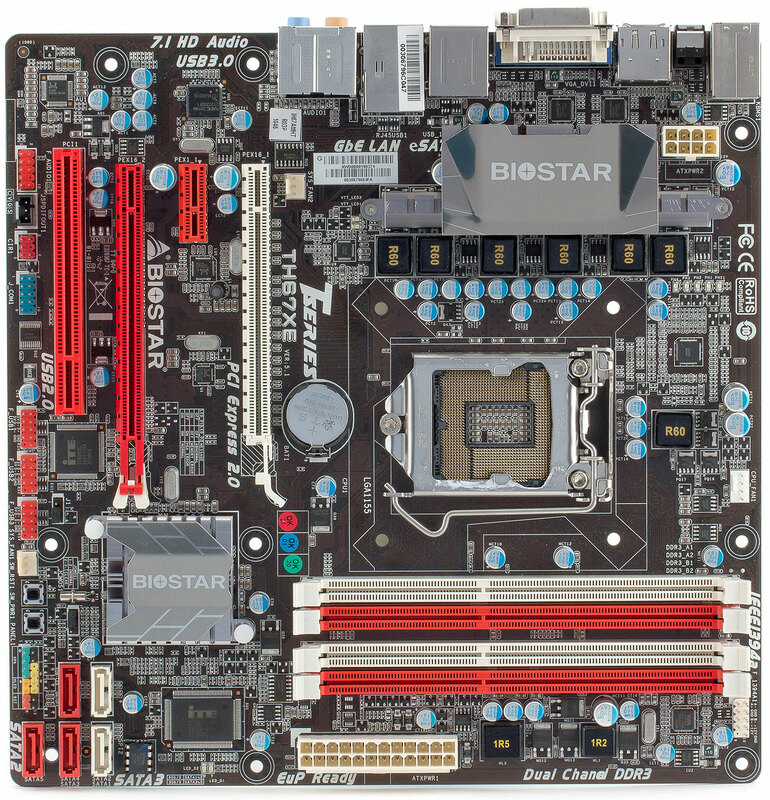 Internal devices can be connected to 3 SATA 3Gbps and 2 SATA 6Gbps ports which should be enough even for those who will buy this motherboard for a full-size enclosure (there's TH67A+ for that purpose, but TH67XE has richer functionality). It's interesting that Biostar kept COM ports, too, although the bracket is optional. So if you use legacy measuring equipment or something like that, you will be pleased. Another useful feature is Charger Booster that increases USB current for charging devices that need more of it (e.g. Apple iPhone/iPad). It also lets you charge gadgets when the PC is off or in standby. A lot of companies offer similar solutions these days, but implementations differ. Gigabyte's variant is the most advanced so far, with special On/Off Charge ports working and providing increased current all the time. Motherboards without such ports can only supply enough current when the PC is on. You turn on the PC, connect the gadget and only then you can put the PC on standby — charging will continue. 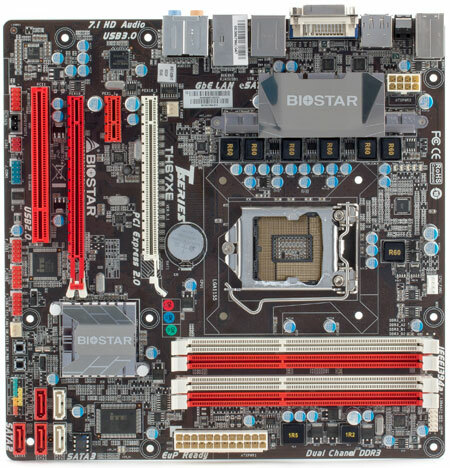 So, Biostar motherboards support the second variant as of now.